Bandwidths in the gigabit range require new IT security solutions for data transfers. This is especially true for conventional Unified Threat Management (UTM) firewalls, which have limited performance. 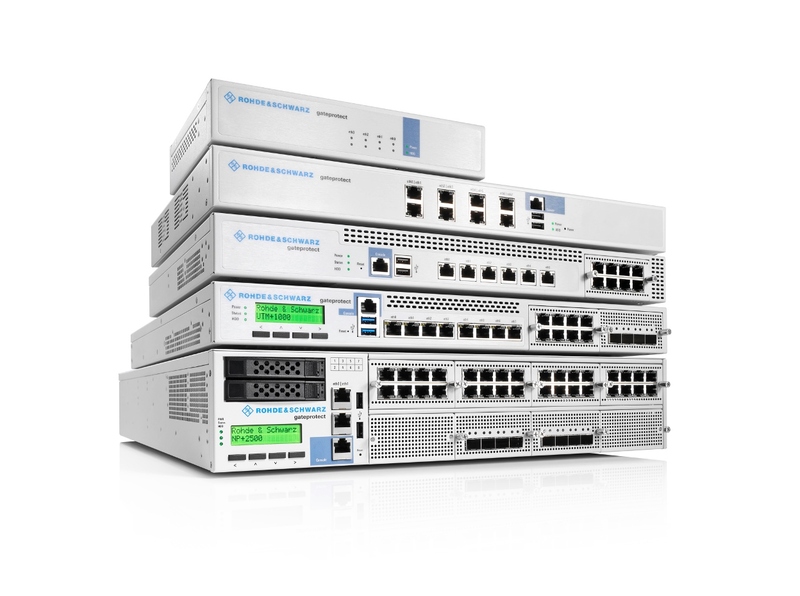 The new IT-security company Rohde & Schwarz Cybersecurity will be at this year’s CeBIT to present an innovative solution that is the first to meet the challenges associated with higher bandwidths: the UTM+ firewall series with integrated next-generation engine. Like all trade fair innovations from Rohde & Schwarz Cybersecurity, the UTM+ firewalls take a proactive approach to security. Munich, February 29, 2016 — Firewalls in the UTM+ series have been developed specifically to meet the needs of SMEs. Thanks to integrated single-pass technology, they are as powerful as a next-generation firewall (NGFW). While the performance of traditional UTM appliances already reaches its limit in the megabit range, UTM+ uses the new V16 software to deliver performance in the tens of gigabits. The UTM+ models are also easy to use all-in-one solutions and significantly less expensive than NGFWs. Permanent layer 7 scanning ensures comprehensive, continuous inspection of data packets. In addition, the application control enables fine-grained analysis of network traffic. Firewalls from the UTM+ series take the “security by design” approach – in other words, preventing attacks proactively rather than reactively. The tried and tested TrustedDisk full-disk encryption is first to receive the advanced BSI certification for Windows 10. TrustedDisk is used to encrypt all data as well as the operating system on PCs and laptops. A lost computer no longer means a loss of data. The browser-in-the-box concept for secure surfing and protection against malware, zero-day exploits and advanced persistent threats is now available for central virtualized infrastructures with terminal servers and thin clients too. BizzTrust and TopSec Mobile from Rohde & Schwarz Cybersecurity are user-friendly solutions that offer device protection and tap-proof mobile communications. BizzTrust is a secure platform for Android smartphones and tablets that divides devices into two security zones. Applications, data and network connections in the private and corporate zone are kept strictly separate, greatly complicating the ability to launch attacks. The business solution also offers secure encryption for phone calls and e-mails. The TopSec Mobile encryption device is used by companies and governments to encrypt sensitive phone calls. The BSI has now even exclusively approved the system for particularly sensitive telephone calls – up to classification level “Confidential” (German VS Vertraulich). The Rohde & Schwarz security companies gateprotect, Sirrix, Rohde & Schwarz SIT and ipoque will all be attending CeBIT, for the first time under the new company name Rohde & Schwarz Cybersecurity GmbH, to launch their wide range of cutting-edge information and network security solutions. The UTM+ V16 is the first product to be launched by this new big player. Rohde & Schwarz Cybersecurity is a full subsidiary of the independent electronics group Rohde & Schwarz and develops and produces its products exclusively in Germany. Customers therefore know that all products meet high German standards of quality and data protection while delivering top performance at the same time.